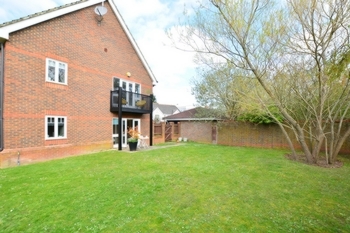 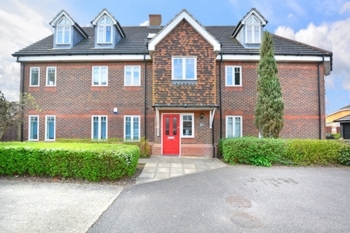 This substantial and superbly presented two double bedroom two bathroom ground floor garden apartment is located within Southgate with excellent access to Crawley train station, Gatwick Airport, M23 north and south bound, several excellent schools and a range of local amenities. 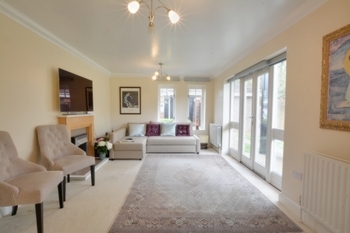 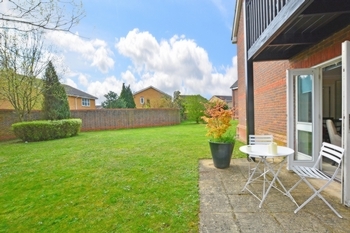 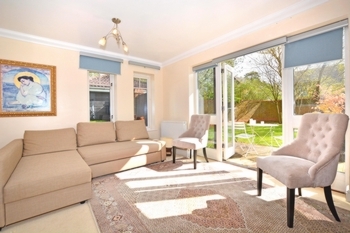 The property has been upgraded and well maintained over the years. 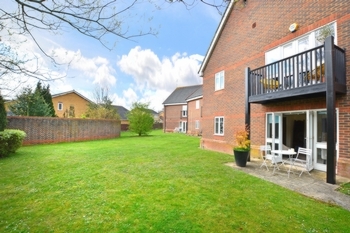 This apartment makes an ideal first time purchase or someone who's looking for light and bright ground floor accommodation with a private garden area and needing to be close to multiple transport links, whilst being in a much sought after and convenient location. 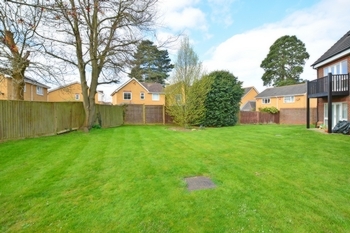 On entering Rosemead Gardens which is a private no through road development you will notice the detached Car Barn located to the right which is your private parking space. 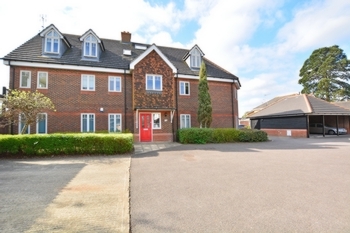 On entering the communal entrance you will immediately notice the modern and spacious communal entrance hall with stairs to all floors. 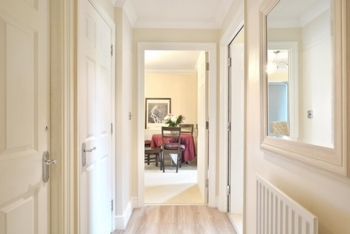 On entering the property through the front door you walk into the spacious entrance hall which accesses all rooms. 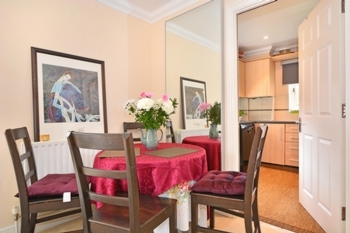 Within the entrance hall there is ample storage two with built in storage cupboards. 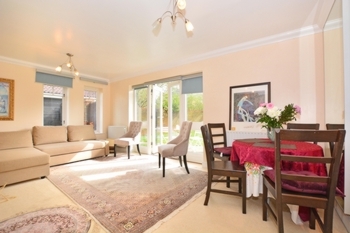 The spacious lounge / diner creates an amazing space to relax and entertain with ample floor space is provided for free standing sofas and lounge furniture. 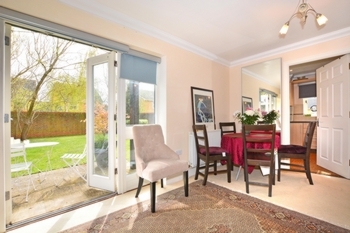 Double open French doors allow in plenty of natural light and open out to the private patio garden which continues on to the enclosed communal lawned gardens. 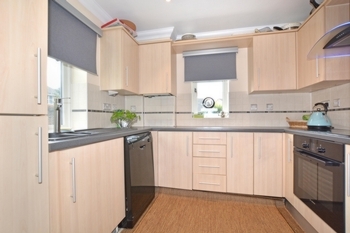 The double aspect kitchen overlooks the gardens and is fitted with a stylish range of base and eye level units with built in appliances and work surface surround. 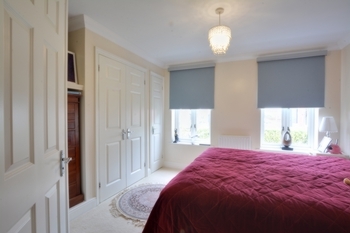 The king size master bedroom is located at the front of the property and benefits from a double built in wardrobe and single storage cupboard. 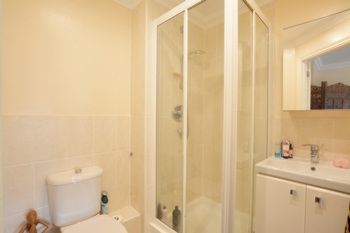 There is an en-suite shower with shower cubical, wash hand basin and w/c with window. 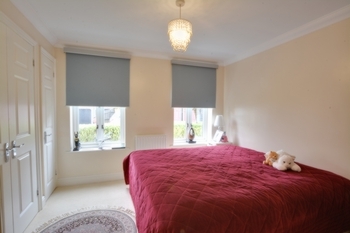 Bedroom two provides ample space for a double bed and benefits from a single built in wardrobe with further floor space for free standing furniture. 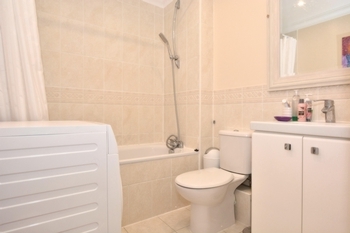 The modern bathroom comprise of a three white three piece suite set against part tiled walls and flooring. 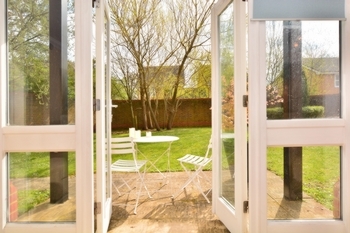 To the outside of the property there is a private patio garden and lawned communal gardens. 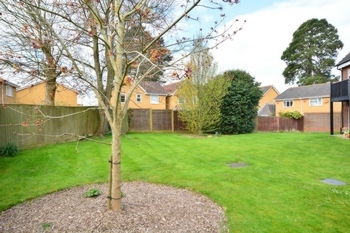 A pathway leads from the front of the property to the wooden gate which provides side access and direct access to the rear of the property. 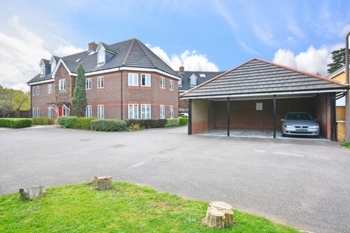 A detached car barn is located at the front of development which provides private parking for one car. 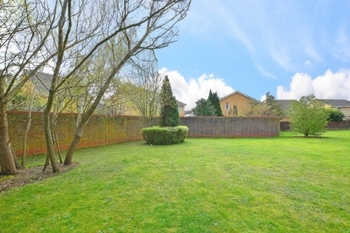 There is also an enclosed detached shared storage shed.